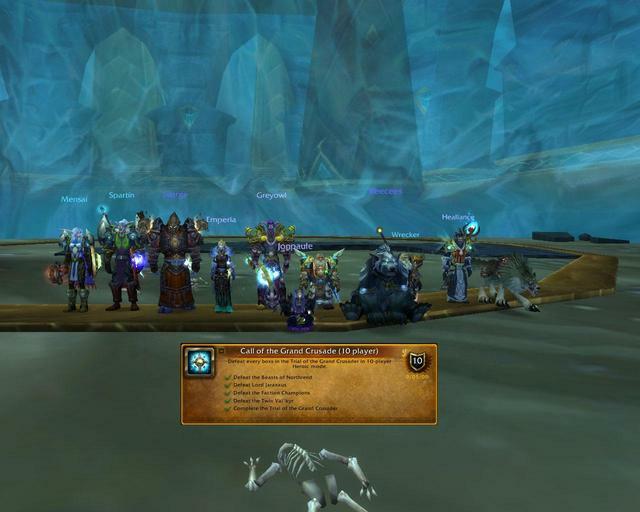 A team of brave warriors (and other classes) of Deeprun Pest Control ventured into the 10-man heroic instance of the Trial of the Crusader, and have now achieved the server first clear of the instance, and gained the Call of the Grand Crusader (10 player) achievement! The final kill of Anub’arak was at around 04:45 game time (now that’s dedication to the cause). In other news, DPC also gained the server first 25-man kill of Anub’arak in normal mode, and we’re now working on the heroics.